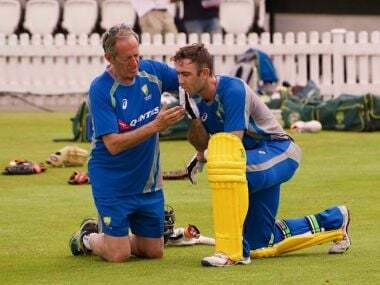 London: Australian cricketer Glenn Maxwell has been given medical clearance after being hit on his helmet during a practice session at Lord's on Wednesday. Maxwell was batting in the nets when he was struck by a delivery from a local net bowler. The 28-year-old sunk onto his knees, visibly in distress, as teammates and team doctor, Peter Brukner, raced to check on him. After being examined by Brukner, the rattled all-rounder left the training facility for further assessment. 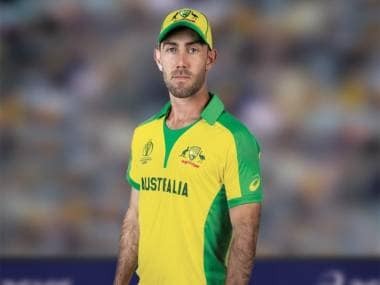 According to a report on cricket.com.au, "Brukner's assessment focused on Maxwell's jaw and the top of his neck, indicating that's where the right-hander was struck." He spent the remainder of the session treating the blow with some ice. 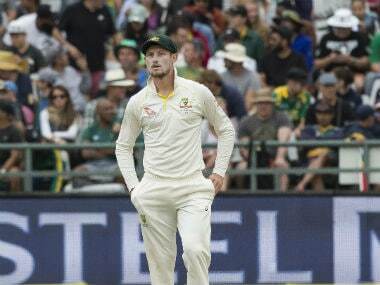 Australia skipper Steve Smith confirmed that “he (Maxwell) took a knock to the neck” but he was sure that “he will be okay." 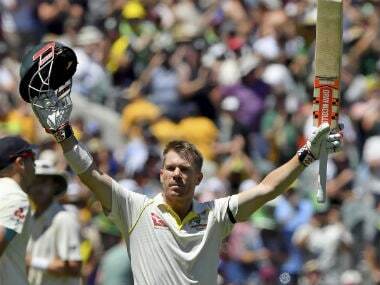 Maxwell played a vital role with both bat and ball in Australia's triumphant 2015 World Cup campaign. He not only scored 324 runs in six innings, at an average of 64.80 and a strike rate of 182, but also scalped six wickets. His audacious strokeplay will be key to Australia’s Champions Trophy hopes. Later in the day as the training session continued at the home of cricket, wicketkeeper Matthew Wade copped a less menacing blow on the helmet from a delivery by speedster Pat Cummins. Wade, though, was not as shaken as Maxwell and was able to bat out the session. Before their Champions Trophy campaign begins against New Zealand on 2 June, the world champions have two warm-up games against Sri Lanka on Friday and Pakistan on 29 May.